France full-back Maxime Medard has urged caution ahead of tonight’s Six Nations clash against unbeaten title rivals Wales. 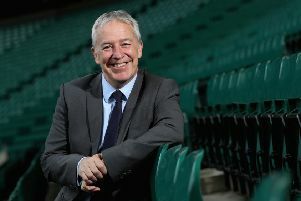 Medard and company will arrive in Cardiff on the back of successive home wins against Italy and Ireland that ensured a strong start for new head coach Guy Noves. But France now face opponents they have not beaten since the 2011 World Cup, losing four successive Six Nations Tests and scoring only one try during that time. The victories over Italy and Ireland were achieved by a combined margin of just three points, and the Principality Stadium encounter under its closed roof is a first Test match away from home for Noves, who succeeded Philippe Saint-Andre after last year’s World Cup. Medard added: “They [Wales] are a very powerful team in both attack and defence. “They come up very quickly, and we know this match will be completely different to the first two that we played. “We won two matches while struggling. Stade Francais wing Djibril Camara will make his first start for Les Bleus as one of five changes made by Noves following the 10-9 success at home to Ireland a fortnight ago. Camara replaces an injured Teddy Thomas, while there are also starts for scrum-half Maxime Machenaud, prop Rabah Slimani, lock Paul Jedrasiak and flanker Antoine Burban. Sebastien Bezy, Uini Atonio and Yoann Maestri all drop to the bench, while Montpellier fly-half Francois Trinh-Duc is also named among the replacements on his return to the squad.